What happens when communities come together? They give. Cyclone Idai hit over a month ago and while the news cycle is winding down, the struggles to rebuild the communities and the stories of those impacted have only just begun. Numbers can hardly express the level of impact that the cyclone has had on the lives of Mozambicans. It is reading first-hand stories – like the story of baby Sara who was born in a mango tree while flood waters rose – that show the impact of the storm. When we think about innovation, what often comes to mind are software and smartphones. But sometimes, innovation is what you end up with when trying to solve a problem. In Mozambique, we did this by finding a way to coordinate drivers who were already traveling near health facilities to help with lab sample delivery. Last week, after six months of planning the approach and adapting the mobile application, AmosTaxi was born. 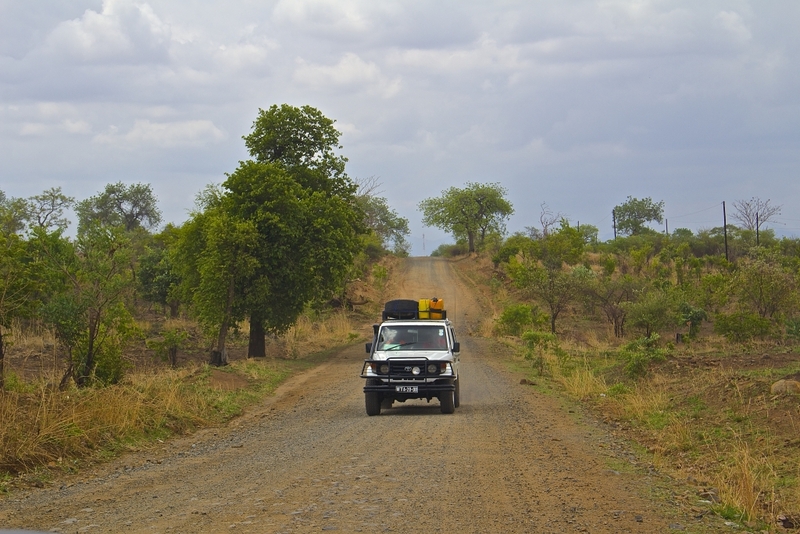 On the road in Mozambique. What if…? These two words can be a spark for innovation. At VillageReach, our work often begins with this question. We start with big, promising ideas and work towards creating evidence of their impact in the hardest-to-reach communities. We are excited by our latest Grand Challenges Explorations award rooted in what-if thinking. What if we can use ride-sharing for faster lab results? With the endorsement of the Addis Declaration on Immunisation, African leaders demonstrated their commitment to life-saving immunizations. 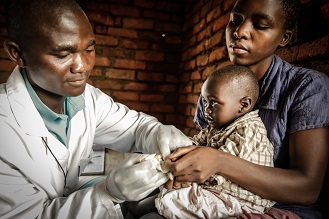 The Declaration names a number of components – ten, in fact – crucial to realizing the full benefits of immunization. But there are many more pieces in the day-to-day work of getting vaccines to children. These are the pieces I think about as I do my part in reaching global vaccine goals. Com a aprovação da Declaração de Adis Abeba sobre a Imunização, os líderes africanos manifestaram o seu compromisso para com as imunizações que salvam vidas. A Declaração indica várias componentes – de fato dez – que são decisivas para realizarem-se os plenos benefícios da imunização. Mas existem muitos mais elementos no trabalho quotidiano de fazer chegar as vacinas às crianças. Estes são os pedaços nos quais penso enquanto dou a minha contribuição para alcançar as metas para as vacinas a nível mundial. Em Moçambique, um grupo de parceiros tem trabalhado em colaboração com o governo para melhorar o acesso aos medicamentos na última milha. Uma abordagem inovadora reuniu os conhecimentos da VillageReach, Médicos Sem Fronteiras (MSF) e de uma empresa local 3PL, Confiança Absoluta, para apoiar a meta do governo provincial de Tete, de alcançar as comunidades mais remotas com vacinas e medicamentos contra o HIV. Essa abordagem, chamada de Terceirização dos Serviços de Transporte (TST), usou o sector privado para distribuir vacinas, medicamentos contra o HIV, e kits médicos para os serviços de saúde. Um novo estudo explora o potencial desta abordagem, enquanto o governo está projetando expandir de um projeto piloto para a província completa e além. Collaboration is at the heart of a unique public-private initiative to increase availability for a range of health products in Mozambique. 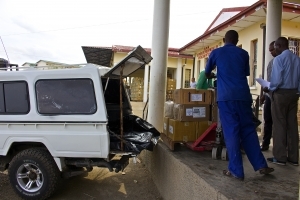 Tete provincial health authorities, Médecins Sans Frontieres (MSF), and VillageReach have partnered with the private sector company Confianca Absoluta to bring HIV medicines, vaccines and medical kits to rural health clinics. A new case study looks at the first six months of this initiative. It outlines the details of the partnership, benefits to date including increased availability and efficiency, and considerations for governments interested in outsourcing as a way to improve transport for essential medicines.